Huey Luey&apos;s is offering its special Valentine&apos;s Day pre-fixe menu from Feb.9th-14th. The menu includes avocado rolls, Texas fajitas and homemade flan. And don&apos;t forget to try their new seasonal Passion Fruit margarita. Can&apos;t celebrate on the 14th? Cibo e Beve knows how busy life can be, so from February 10th until the 17th, Chef Linda is offering delectable specials alongside the regular menu. Guests can indulge in dishes that include pancetta smoked salmon spread, bavette steak and scallops with butternut squash "alfredo" fregola. 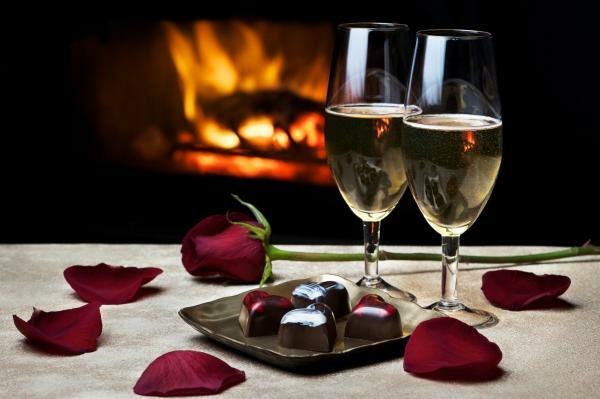 Nothing says Valentine&apos;s Day quite like enjoying sparkling wine and chocolate with the one you love. Savvy Cellars has partnered with Wine Parties by Design and A Cacao Affair for an event complete with six handcrafted chocolates created to pair perfectly with each glass of bubbly. This event is an open house; you may arrive anytime between 6:30 PM and 9:30 PM. Enjoy a scrumptious four-course meal at il Giallo Osteria & Bar this Valentine&apos;s Day. Chef Jamie has crafted a delectable menu perfect for the couple looking to enjoy a romantic evening with Italian flair. 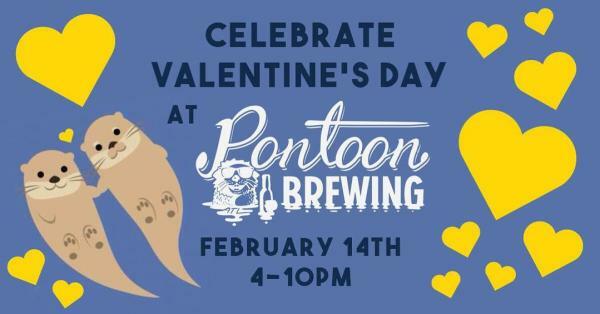 Join Pontoon Brewing to celebrate your significant otter, Galentine&apos;s Day or a happy hour before your special dinner. Special Valentine&apos;s Day-themed beer specials will be offered all night long. 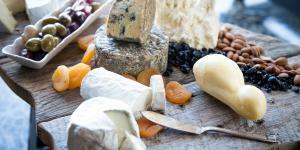 A neighborhood staple for 18 years, Food 101 is known for delivering quality ingredients and cutting-edge cuisine. 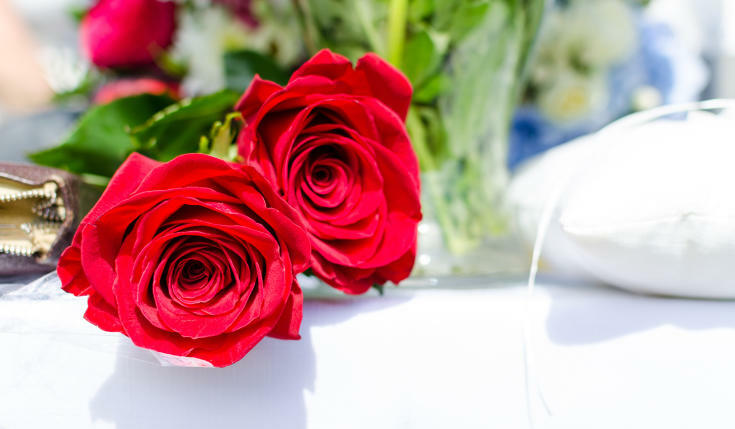 This Valentine&apos;s Day, they&apos;ll be offering a special His and Hers menu featuring items like Smoked Beef Carpaccio, Sea Bass and Bourbon Bread Pudding. Join Children&apos;s Healthcare of Atlanta for this meaningful Valentine&apos;s Day event. Stand together on the sidewalk across the street from Scottish Rite hospital, and shine lights at the patients as they shine lights back through their room windows. Just bring a flashlight or you can use the flashlight on your cell phone and help shine lights of love. Wearing red is encouraged. Share an evening of love, wine and painting with your special someone this Valentine&apos;s Day! Painting with a Twist offers classes that are EASY and FUN for everyone. 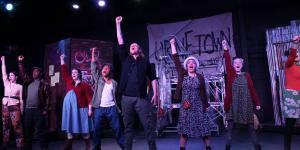 The two Valentine&apos;s Day class options are "Mahogany Valentine" or "Our Love Tree". Enjoy dinner and a view this Valentine&apos;s Day at Ray&apos;s on the River. Ray&apos;s will be offering two, 4-course prix-fixe menu options, so make sure you and your sweetie come hungry! Looking for a sweet morning out with your little Valentine? Join La Dee Da Studio & Events for an event filled with take home art projects, cookie decorating and treats. There will also be a photo-op area, so don&apos;t forget your cameras! 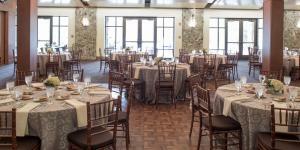 Eat your heart out this Valentine&apos;s Day at Stockyard in Sandy Springs. Make reservations today and enjoy a four-course meal for 2 that includes an appetizer tasting, salad or chili, your choice of entree and shared dessert for $60 per couple. Spend an afternoon with your sweetheart cooking Timpano, Big Night style! Spend the Saturday after Valentine&apos;s Day making the famous timpano with your special someone at Cibo e Beve. The Italian dish timpano is featured in the Campbell Scott and Stanley Tucci film, "The Big Night." Chef Linda will walk students through this Italian baked pasta dish in an interactive class that includes the cooking lesson, timpano for two, and two glasses of house wine or prosecco.